Woodcarving is a technique historically valued for its capacity for intricate detail, directness, freshness of line, and the ability to print large editions. 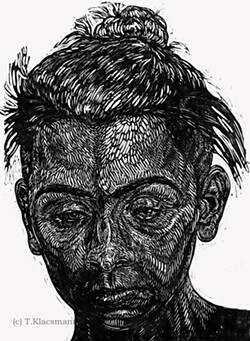 The goal of this workshop is to learn to scale up a small woodblock to create a larger version, without the fear of making irrevocable mistakes. We’ll create a small relief print and use it as a template for carving a larger woodblock.